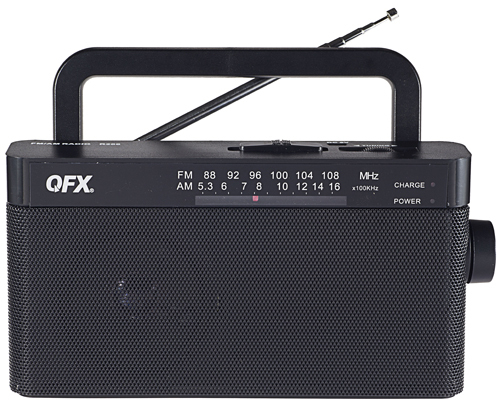 Take great-sounding music anywhere with this portable AM/FM analogue radio. 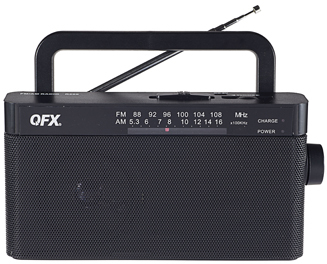 Powered by Built in Rechargeable Battery /and /or two AA batteries, and featuring a built-in carrying handle, its perfect for sound-tracking. everything from picnics to house parties. You will never have to worry about running out of power either, thanks to the new LED battery status indicator. 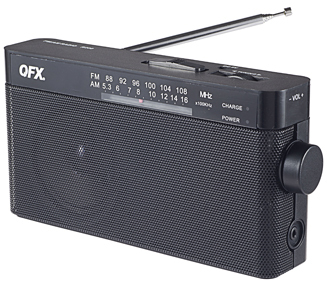 Integrated AM/FM radio tuner. Built-in carrying handle for increased portability. Dedicated headphone socket for personal listening. LED tuning and battery and Charge status indicators.